One of the most versatile, adaptable and beneficial quality systems ever developed for the chemical and ingredients distribution sector is the Responsible Distribution® Code of Practice. The BIG SECRET – it can be adopted by any business supplying any product or service. The Responsible Distribution® Code of Practice (RD) is a made-in-Canada solution that is the sister to another made in Canada quality program known as Responsible Care®. RD was initially designed for the distribution of chemical substances, products and services BUT can be applied to the distribution of any product or service including food, cosmetic & pharmaceutical ingredients and finished products. Many small and medium sized organizations struggle with the necessary resources to develop, implement and maintain the growing number of ISO management system standards pertaining to the safe manufacturing, distribution and use of a wide range of products and services. The Responsible Distribution® Code of Practice provides a viable and affordable alternative. In fact, RD is so AGILE that those organizations that adopt it are also meeting the objectives of ISO 9001 (Quality Management), ISO 14001 (Environmental Management), ISO 22000 (Food Safety Management), ISO 26000 (Social Responsibility), ISO/IEC 27001 (Information Security Management), ISO 31000 (Risk Management) and ISO 45001 (Occupational Health and Safety); Good Manufacturing Practices (GMP) for the importation of Active Pharmaceutical Ingredients; Hazard Analysis of Critical Control Points (HACCP) and/or Good Distribution Practices (GDP). The BIG DIFFERENCE between ISO standards and Responsible Distribution® is that the organisation determines which elements are needed and how they will be managed rather than following a prescriptive and exhaustive list of standards, which are not always suited to the organization’s activities. The HIDDEN TREASURE is in the simplicity of the RD management system. 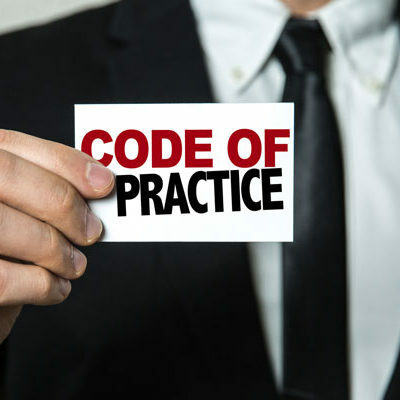 Please contact us to discuss how the Responsible Distribution® Code of Practice can benefit your organization regardless of what type of product or service is being offered by your company.